Everyone is constantly trying to save money. Whether it’s for your children’s college funds, a well-needed vacation, holiday gifts, retirement or just because, most people would rather cut back on certain expenses. The amount you spend on energy (including electricity, natural gas, fuel, water, etc.) is probably not helping your savings account. These eight tips are easy, free ways to reduce your energy costs. Making these simple adjustments can help you reduce the amount you spend on energy and amp up your savings. Plus these free ways to reduce energy costs help support a cleaner environment! Turn off the air or turn up the thermostat. When it’s hot outside, keeping your home cool is a big energy expense. To save on your air conditioning costs, turn off the air conditioning when you’re at work or not home or set your thermostat to 78 degrees. This temperature is optimal for air conditioner efficiency, therefore, you will spend less while keeping your home cool. Turn off the water. Most people leave the water running while they brush their teeth or shave. This not only wastes approximately 3 gallons of water but wastes money too. Instead, before brushing your teeth fill a small cup with water, shut off the faucet and use the cup when you’re ready to rinse. When shaving, fill the sink with water and turn the faucet off until it’s time for your final rinse. Keeping the faucet off is a free way to cut back on energy and water usage. Unplug everything. Turning off your television and laptop are great ways to conserve energy, however, you can reduce even more energy by unplugging your television, laptop, hair straightener and chargers. Many electronic devices and appliances draw power even when they’re switched off. Unplugging is a quick, free way to reduce your energy costs. Wash large loads. 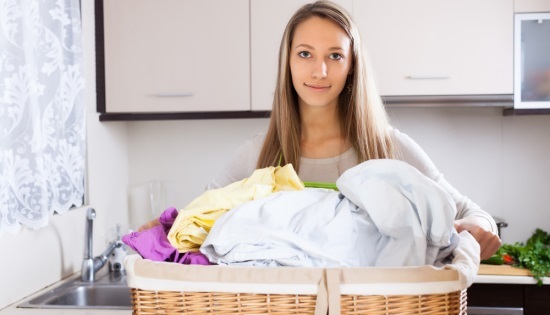 When washing the dishes or clothes, its best to fill the washer or dishwasher with the largest load possible. When these appliances run, even if they are on a small load setting, they often use just as much water and energy as a full load. According to ENERGY STAR, washing full loads can save you more than 3,400 gallons of water each year. Given the average American family spends about $474 annually on water and sewage charges, this is an easy way to reduce that cost. Take colder showers. Most families have at least one person who thoroughly enjoys taking long, hot showers that steam up the entire bathroom. Did you know that if you take colder showers you can save on two monthly bills? By taking colder showers you can save on your energy and water bill because hardly anyone enjoys staying in a cold shower for a while! Start getting everyone in your family to take colder, shorter showers! Keep windows up while driving on the highway. Although keeping your windows down instead of blasting the AC while driving around town can save gasoline, this isn’t the case when driving on highways. When driving at higher speeds on the highway, having the windows down will create a drag that decreases fuel economy. This easy, fuel saving tip is important to keep in mind when commuting to work or heading on a road trip. Cook outside. Using the oven in your kitchen heats your home, resulting in a greater need for the air conditioning to stay on and at full blast. Cooking outside is a great alternative so you can keep the heat out of your house and leave the thermostat at the most energy efficient temperature. Definitely take advantage of the summer weather and use your grill. Let it air dry. Whether it be your hair or clothes that need drying, let them air dry before going straight to the hair dryer or clothes dryer. A typical clothes dryer uses around 3,000 watts per hour. This means that letting even one load of your clothes air dry instead of using a dryer is equivalent to avoiding approximately 5 pounds of carbon dioxide (CO2) emissions. Cut back your dryer usage to save more and reduce CO2 emissions. These free ways to cut back on energy will help you save money and positively impact our environment. Over time you might be impressed by how these little adjustments save energy!